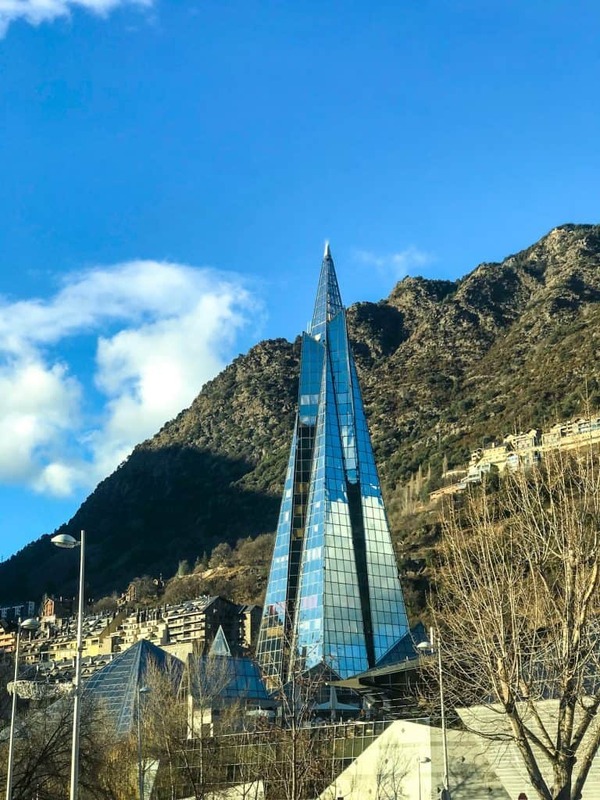 Taking a trip to Andorra has been on my list for as long as I can remember! A micro-country nestled in the Pyrenees between Spain and France, not many people realise Andorra is an independent country. Despite being in Europe and using Euro as the local currency, it is not part of the EU, meaning it’s a tax haven attractive to shopping enthusiasts. 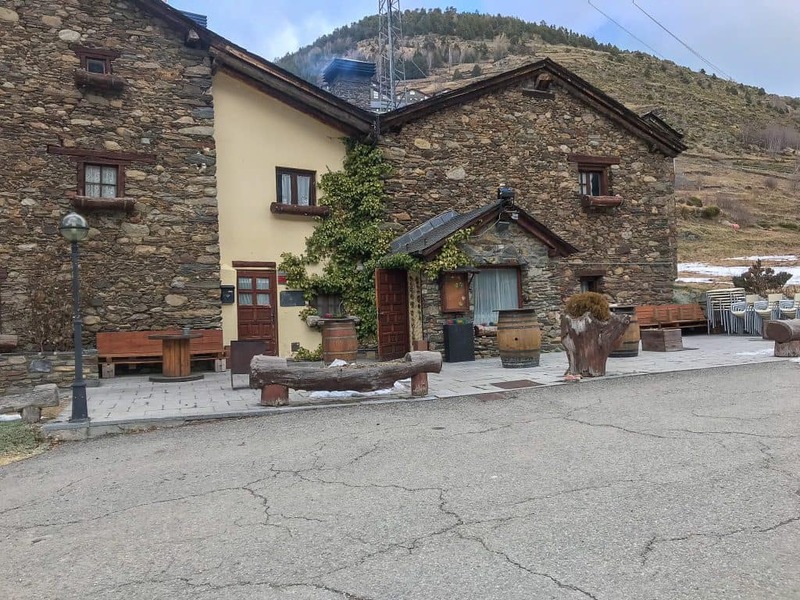 However being adventurers at heart, we visited to explore the nature, take in the beautiful landscape and soak up the micro Catalonian culture of Andorra. 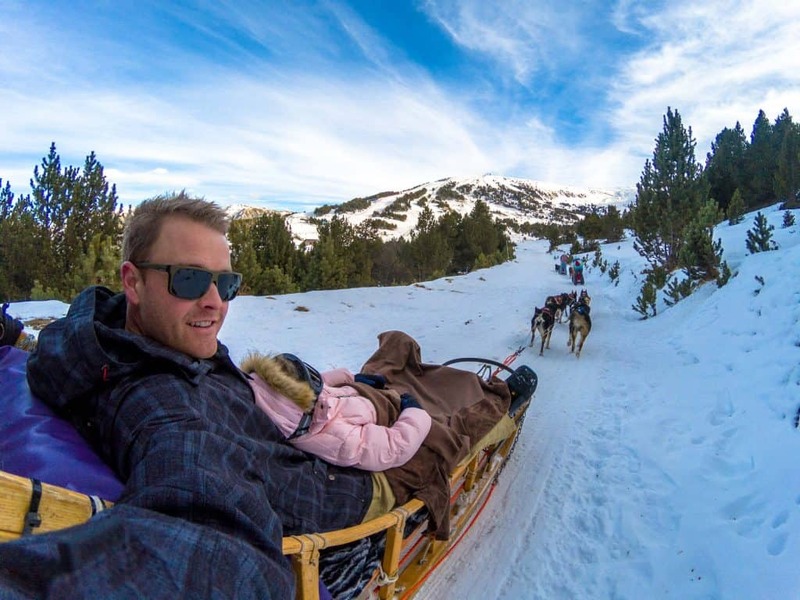 Being in the Pyrenees the most obvious thing to do is, an Andorra ski holiday, incorporating all of the other amazing things to do along the way. 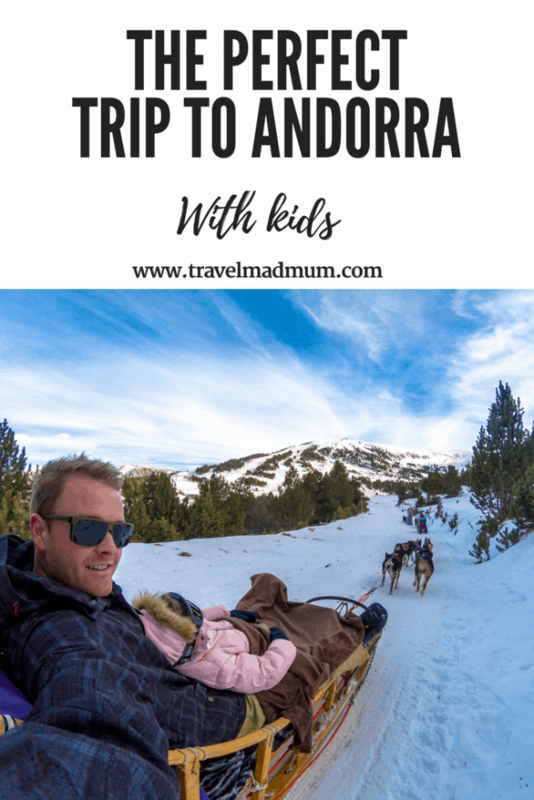 We visited Andorra in January with our two children for three nights and loved all of the activities specific to them. They really enjoyed the trip as much as us, making it the perfect destination for young families. 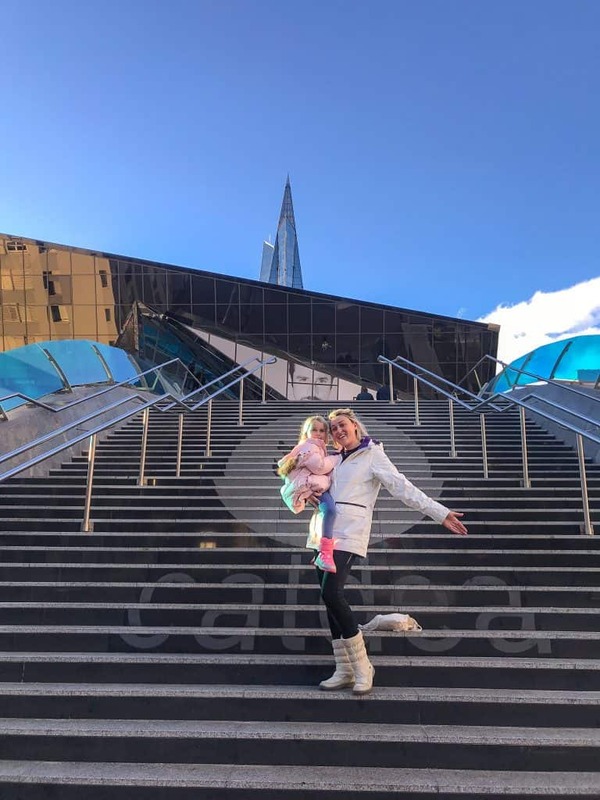 We enjoyed the many gastronomic delights, the snowy mountains of Grand Valira, not to mention the world famous spa ‘Caldea’ that is perfect for families. I will tell you ALL in detail but first how do you get to Andorra? Andorra does not have its own airport which obviously complicates the journey slightly. That said, both Toulouse in France, and Barcelona in Spain are within driving distance. Buses depart from both airports throughout the day, however Barcelona has more frequent services. We flew into Barcelona, had lunch in the arrivals lounge, and before long it was time to take the bus from just outside the terminal. 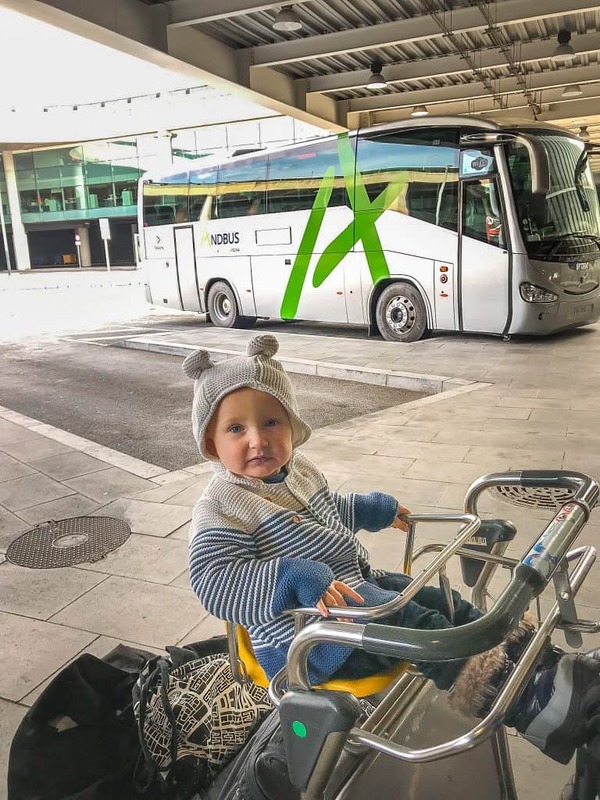 It worked out perfectly for us, not to mention the luggage trolley’s were a hit with our kids in Barcelona, there aren’t many around the world that have special kiddie seats! The drive on the bus from Andorra through Catalonia is just stunning. Beautiful mountainous landscape and the perfect sunset. The bus had a glass ceiling allowing us to take in the grandeur of the Pyrenees! 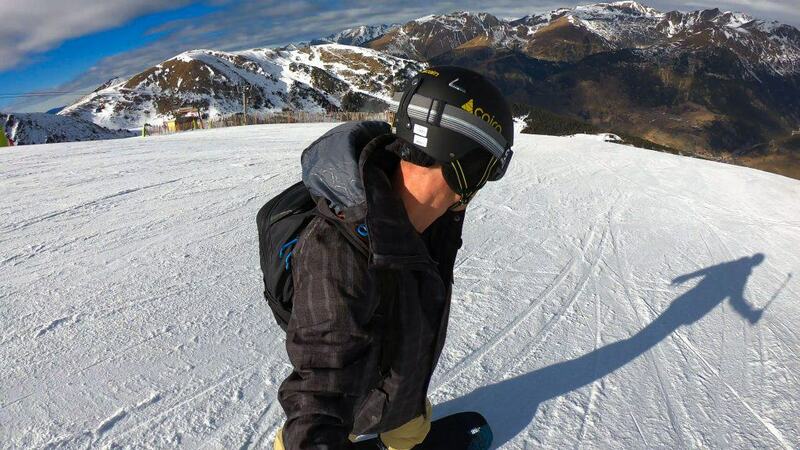 Besides from hiking in the summer, skiing in Andorra has to be one of the number one reasons people visit this amazing little country. It homes the largest ski resort in the Pyrenees, Grand Valira with 210km of ski slopes it has something for all abilities. As a family, we are a right mix, hubby loves to snowboard and has lots of practice, whereas Esme and I had no experience. Likewise we have a 19 month old boy who is too young to ski. On arrival to Grand Valira we dropped Quinn our toddler to the nursery El Floquet at the bottom of the slopes. it was in an ideal location and proximity to the ski resort. He’s often a little funny about staying with new people but the staff were amazing and he had lots of fun playing in the really lovely facility. Meanwhile Esme and I headed up to the slopes for our first ever ski lesson. The children’s ski school is mind blowing with lots of fun activities. There is a nice warm indoor area for them to chill, but safe to say most of the kids were outside. 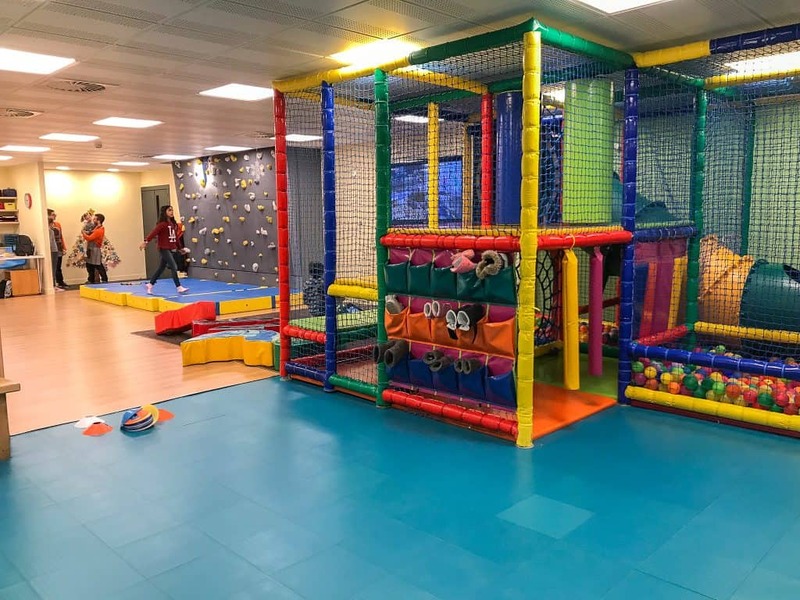 The team are very imaginative with some well thought out ways of engaging those little ones that might be a little nervous. 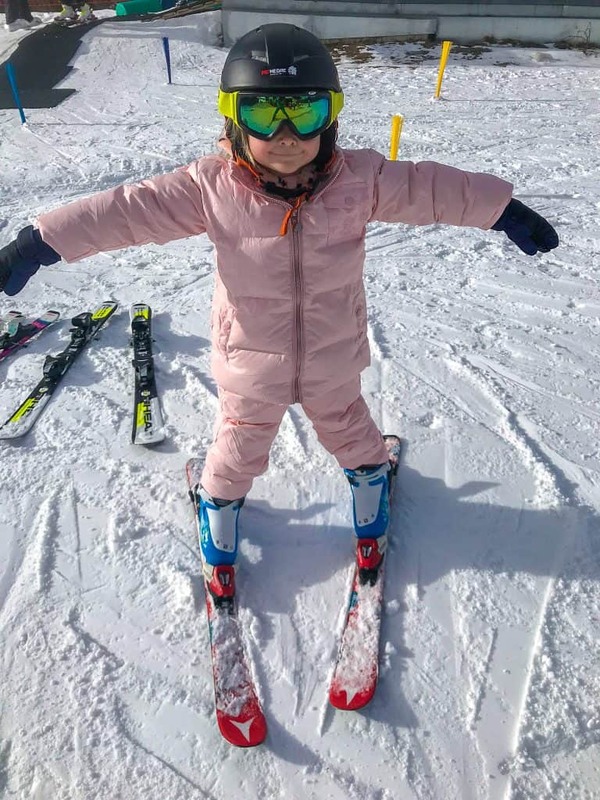 Whilst I was having my lesson I could see Esme, she was enjoying dressing up as a husky, taking her mind off the slightly nervous but exhilarating feeling of skiing for the first time. I had a private lesson with one of the staff from Grand Valira. My teacher was incredible. I have to be honest in saying I am a very clumsy person by nature so I was amazed at her guidance and help with nailing skiing on the first lesson! Needless to say I was very happy and I am now ‘hook line and sinkered’ for future ski trips. During our lesson hubby was on the more advanced slopes snowboarding. He had an amazing time and really rated the course. i obviously have no idea about that side of things as a beginner but I know his standard are pretty high so it must have been good! At lunch time he collected our little boy from the nursery and we all reconvened at La Trattoria restaurant. With stunning views of the mountains and seriously incredible food, it was the perfect place to have a long lunch whilst warming up. I’ll tell you a little more about the food under best places to eat in Andorra! After an amazing lunch at La Trattoria, we tried mushing, also known as dog sledging. The dogs looked incredibly well looked after, they were a healthy weight and their facilities looked good. The kids loved the experience of meeting the huskies, and dashing through the winter wonderland on a sledge, all wrapped up in the warmest blankets ever! 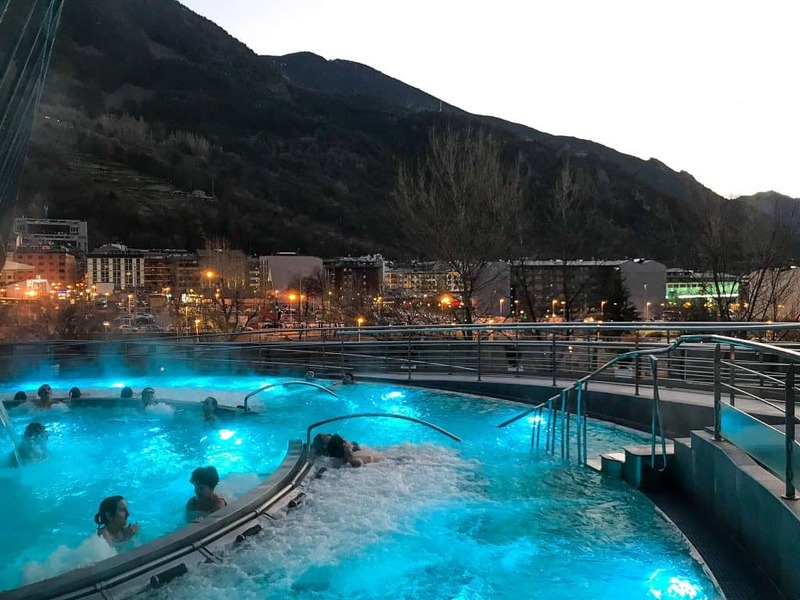 Skiing and spas go hand in hand and it’s no doubt Andorra houses one of the best facilities in the world- Caldea! I’ve travelled to 80+ countries and never have I seen a spa facility like Caldea. The building is an architectural wonder with a glass pinnacle that can be seen from all around the main city. Inside there are many different tiers, featuring private relaxation spots guarded by bamboo trees and large open spaces to move around. I really loved the indoor outdoor flow. Walking through a little doorway and emerging into a steamy warm outdoor pool with views of a sunset over the Pyrenees was out of this world! It was such a ‘pinch myself’ moment. Travel Mad Dad and our toddler hung back at the hotel for the spa as Quinn was too young. 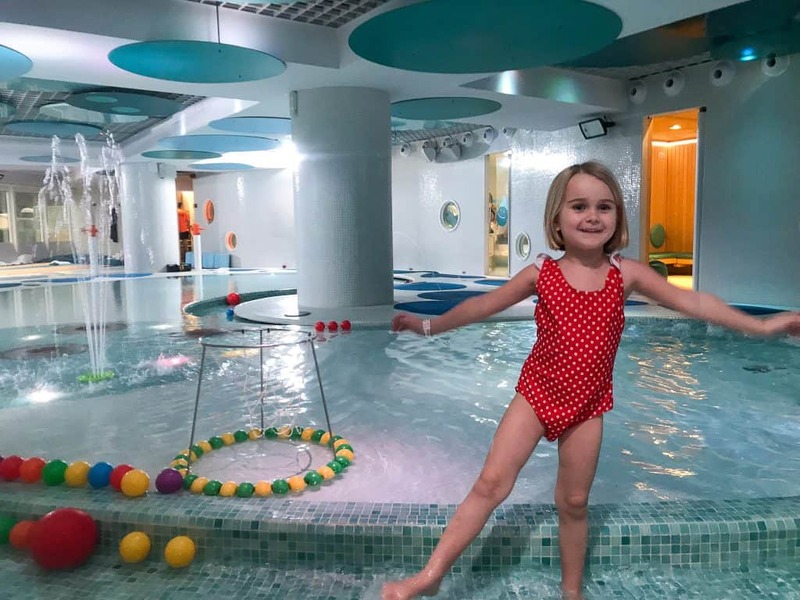 However Esme was the perfect age for the kids spa inside Caldea. The set up is amazing, she went in with other children, had her nails painted, played games and was of course swimming, she had the best time! They gave me a mobile phone in a waterproof case so I had contact with them if they needed me. Innu is the VIP ‘quiet area’ that costs a little extra to enter. I was very lucky to have access and I was literally blown away. From glass tunnels leading to little thermal nuks and extravagant light up pools, it’s certainly the most amazing spa from an engineering, architectural and eye pleasing perspective. On our second day we visited Palau De Gel, it’s an indoor centre with some cool activities such as go karting, pool diving and of course a massive ice skating rink. We gave ice skating a go as a family. They are well set up for younger children learning to ice skate. with little walking frames to help with balance that can also be used as a seat for even younger kids. Quinn enjoyed sitting on it and being pushed around whilst the rest of us learned to balance and glide! As I mentioned previously La Trattoria is the restaurant on the slopes of Grand Valira. 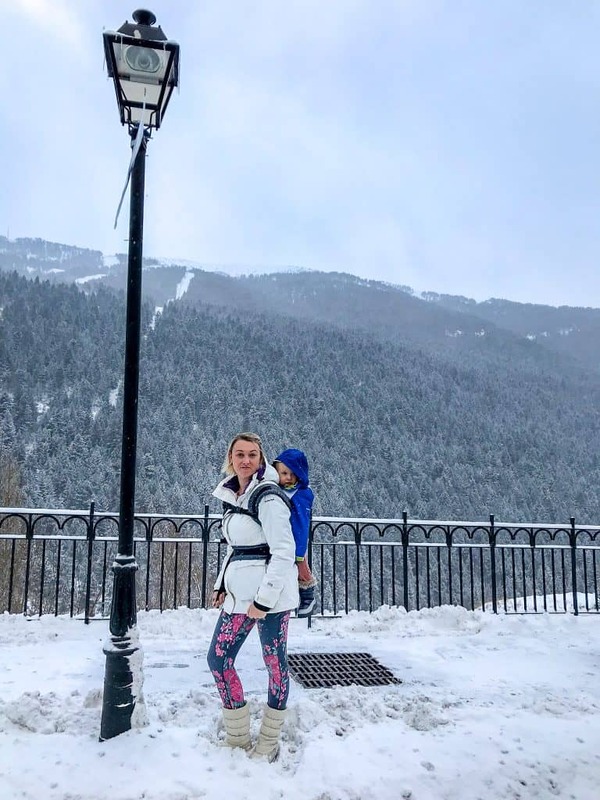 There are fast food options around the resort but with two kids not so use to the colder weather, La Trattoria was the perfect warm respite with stunning views and literally incredible food! 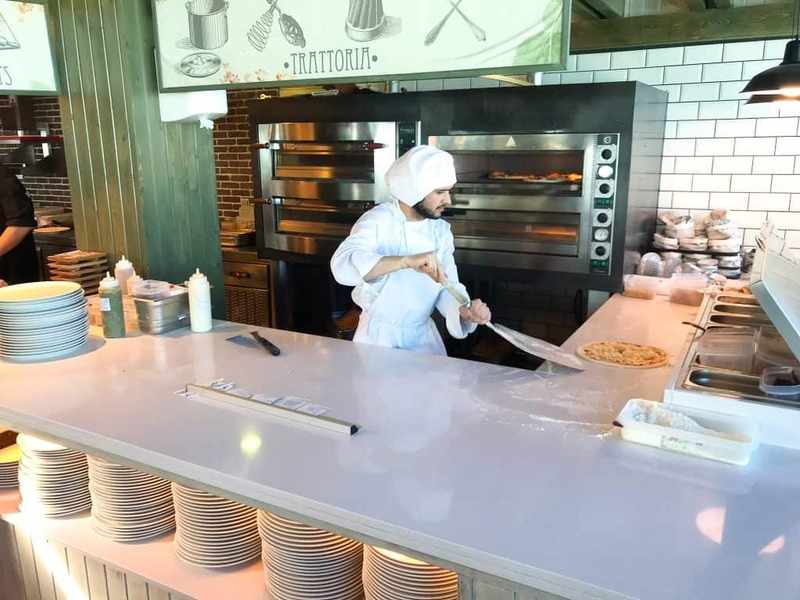 The risotto, the pasta and oh my goodness the best freshly made pizza rolled, tossed and oven baked in front of our eyes was to die for! We sipped on a glass of rioja whilst the kids did some colouring in and ate some really good food. It’s not often we manage to make it through a prolonged relaxed lunch with two kids but I think they were both tired from the activities, it worked perfectly. Borda de L’Horto is a traditional restaurant based only 5 minutes drive from Canilo. Of course like most places in Andorra, it was surrounded with stunning mountainous landscape. Inside was warm, homely and welcoming vibes. I particularly loved the fire where they toasted fresh bread for guests to make the simple but tasty and traditional ‘Pa Amb Tomaquet’. To put it simply customers are given a clove of garlic and a tomato to lightly rub on the bread along with some really good virgin olive oil. It was such an effective way of flavouring bread I wondered why i hadn’t tried it before? All of the times I’ve agonisingly peeled and chopped garlic, I definitely learned something new! We had a sample menu, trying all of the local delicacies and popular traditional dishes. Although Andorran food is meat heavy, I found plenty of vegetarian options from the onion soup to the filo pastry filled with flavoured vegetables, the food was really comforting and tasty. The restaurant has maximum cozy factor with the stone walls and dimmed lights, we didn’t want to leave! 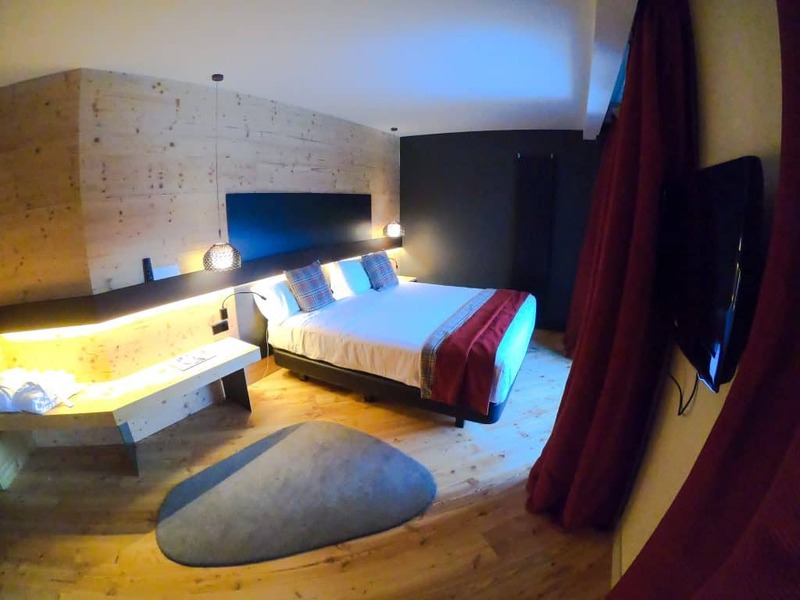 We stayed in a wonderful family-friendly hotel close to the slopes of Grand Valira. Park Piolets is a newly renovated luxury hotel with stunning large bedrooms, a beautiful spa with indoor and outdoor facilities, not to mention the top class food. 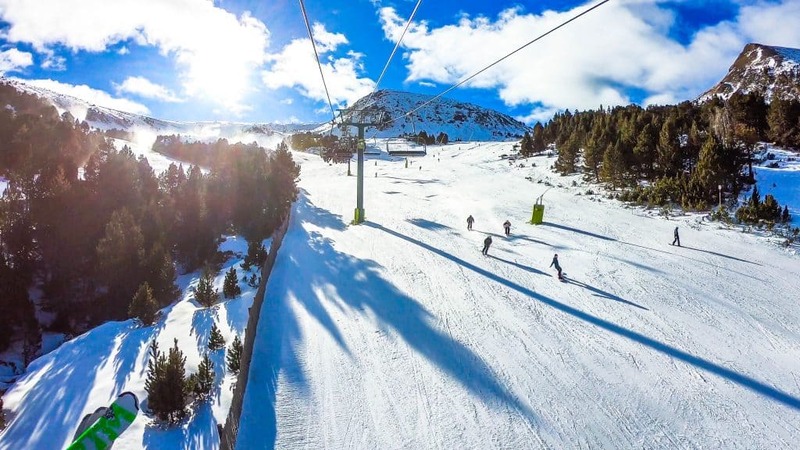 Based only a ten minute drive from Grand Valira resort, regular buses depart from outside the hotel for skiers and snowboarders. We had a stunning room on the fourth floor, it was so quiet with impressive views of the mountains and a massive balcony to soak it all up with a hot drink in hand. Despite having a super king bed as well as two singles and a cot, there was still plenty of room for us to hang out! We stayed at Park Piolets on a half board basis, meaning we had breakfast and dinner at the hotel each day. I am quite fussy when it comes to food. Both myself and the kids are vegetarian whilst hubby eats everything. I was so surprised to find our home comforts such as oat milk! The food was amazing with lots of healthy as well as naughty options. There was definite Spanish / Italian influence with dishes. We loved all of the fresh pastries at breakfast, the coffee was great, setting us up nicely with full tummies for the day! Like I mentioned the hotel has a number of amenities that we loved. The Kids Club was amazing with activities throughout the afternoon the kids were never board. Esme loved the arts and crafts, as well as the evening movie, whereas Quinn loved the soft play area. The staff were amazing and those kids over 5yo can stay without parent supervision. We spent one of our afternoons in the amazing spa onsite. Kids are allowed in between 2 and 7pm. 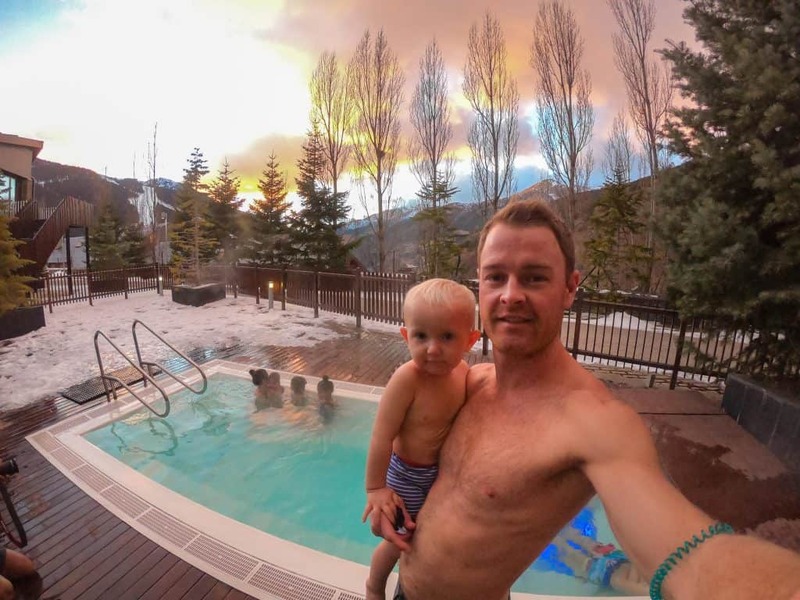 We loved playing in the swimming pool and most of all sitting in the hot spa outdoors watching the sunset! It was the perfect way to unwind and rest our aching muscles after a day on the slopes. 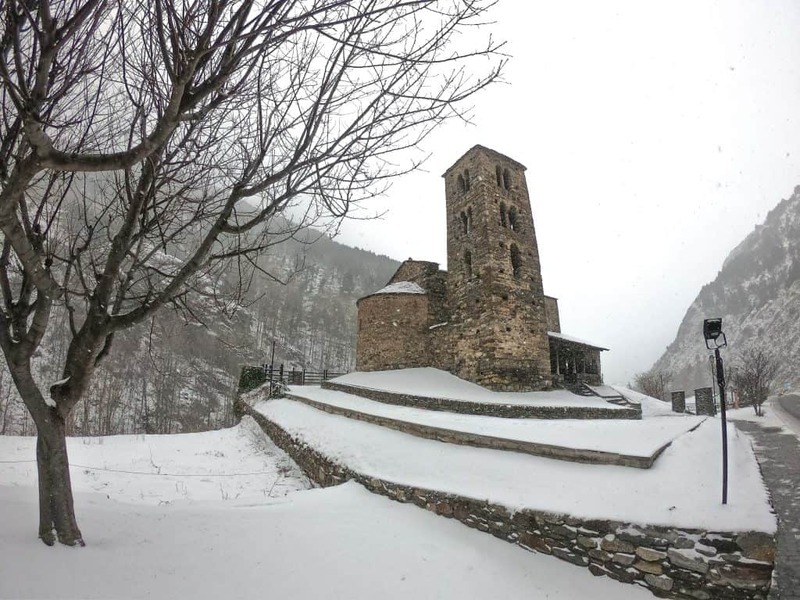 The beauty of Andorra is the diversity in terms of experiences across the seasons. Whilst the winter / spring is an amazing time to visit for skiing, the summer is equally nice for hiking and sightseeing. We visited in the winter and judging by the pictures of Andorra in the summer we would love to visit in the future. Disclaimer: Thank you so much to Andorra Tourism Board for supporting this trip. Our trip was complimentary in return for social media coverage and a written article. As always, all views expressed are entirely my own.